For November 2018 there are 8 active listings in the Harborage Yacht Club with list prices ranging from $195,000 up to $445,000. This is an average list price of $286,838 which comes out to $212.67 per sq. ft. of living area. In the past 12 months, 18 condos have sold. Sales prices were from $101,400 up to $293,500 for an average sales price of $173,839 which equals $137.69 per sq. ft. of living area. 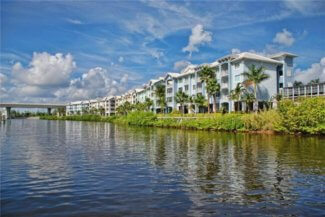 These condos sold on average at 88% of list price and took an average of 261 days before going under contract. Located just north of the charming historical heart of Martin County, Stuart’s downtown and just across the Roosevelt Bridge is one of Stuart’s newest waterfront communities, the Harborage Yacht Club and Marina. 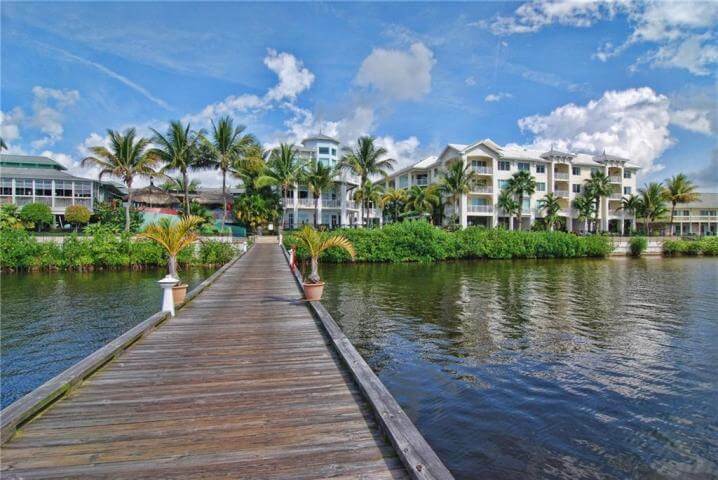 Located on the shores of the wide Saint Lucie River and only minutes to access the Atlantic Ocean via the Saint Lucie Inlet and then either great fishing or travel to points beyond. The Harborage Yacht Club and Marina consist of a newer condo development with 2 and 3 bedroom luxury residences called cottages, almost all with sweeping water views. 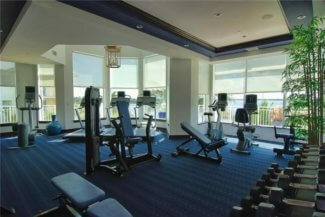 Developed by well renowned Altman Development Corporation and constructed from 2004 to 2006. Completely sold out at its unveiling, many units are currently available at deeply discounted prices. The marina consists of 150 deep water docks available for rent for both owners and visitors to the beautiful Treasure Coast. Amenities include a state of the art 3 story yacht club, with the exclusive Harbor Grille restaurant, a completely equipped professional fitness center with sauna and spa, infinity edge pool and spa, and much, much more. Yacht club membership is included for all residents and limited memberships are available for non-residents at this time. Recent changes to the HOA fees have had a negative effect on sales in Harborage with the current fees exceeding $1,000 a month. This includes a great many amenities and for the price of newer waterfront units that November just be worth it for the right buyer.